The Vermont state of United States made an official announcement of launching a blockchain pilot program for insurance industry. There are two agencies in the state government who have jointly launched Blockchain Insurance Pilot on 11th January. The two agencies are the Vermont Secretary of State, Jim Condos and the Commissioner of Vermont Department of Financial Regulation, Michael Pieciak have signed an agreement i.e, a memorandum of understanding to run the blockchain pilot which will inspect the potential of tech in digital recordkeeping, regulatory process & registration. This trial program will provide captive insurers as well as licensed insurance entities formed by either one or more than one parent companies which will provide self-coverage in the state. This is an option to file registration & reporting documents by using blockchain technology. This captive insurance is a substitute form of self-insurance. This type of alternative insurance can help large corporate entities to insure their risks and decrease their insurance premiums. Currently, the state government is maintaining both digital copies as well as hard copies of filed documents. The objective of state government behind this idea is to furnish a “transparent and validated” records of transaction made using blockchain technology as well as decrease the prices in comparison to traditional way of record keeping. The state government is in the process to identify vendors using technical and consulting expertise of the pilot program, via a Request for Information (RFI) procedure. Vermont is dubbed as one of the leading markets for captive insurance in the United States which registers 20 to 40 new entities in the sector every year as per RFI. Thus, captive insurance plays major role in economy of Vermont. After Bermuda & Cayman Islands, state Vermont has become the 3rd global leader in the sector. 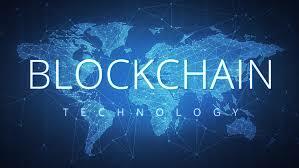 It has also been an active disruptor in blockchain technology, completing its very first fully blockchain based real estate pilot in the United States in the year 2018. Similarly, the government of South Burlington has partnered with Propy (a blockchain startup) to trial a land registration system using DLT. Hence it is quite evident that the state has launched several blockchain initiatives in the past. Nowadays Blockchain technology is widely deployed in the insurance ecosystem.